The UK could be offered a Brexit delay to 22 May on the condition MPs approve the PM’s deal next week, a draft European Council document says. The draft says the EU is considering delaying Brexit beyond 29 March, but it says no extension is possible beyond the European elections. In Brussels, the PM spoke to leaders to try to get their backing for a delay. The BBC’s Katya Adler said these were draft decisions, and leaders were continuing discussions. EU leaders are meeting in Brussels to discuss Mrs May’s request for a three-month delay to the UK’s departure from the EU. 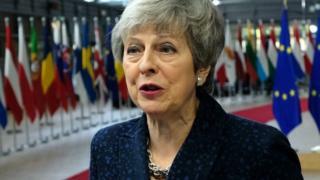 BBC Brussels correspondent Adam Fleming said Theresa May spoke to EU leaders for 90 minutes and was asked several times what her contingency plans were if she lost the third “meaningful vote” on her deal in Parliament. French President Emmanuel Macron has warned that if MPs vote down Mrs May’s EU withdrawal agreement next week, the UK will leave without a deal. “In the case of a negative British vote then we’d be heading to a no deal. We all know it. And it’s essential to be clear in these days and moments,” said Mr Macron as he arrived at the summit. EU Brexit negotiator Michel Barnier said that a short Brexit delay “should be conditional on a positive vote next week in the House of Commons”. “We have done our best, now the solution is in London,” he said. What will EU leaders do if UK MPs reject the deal for a third time? What is the Plan B? It’s been clear that EU leaders believe a short extension of the Article 50 process is possible. But there have been different views about how long “short” should be. And a strict interpretation of the law rules out an extension until the end of June, if the UK doesn’t take part in European elections. That’s why the 27 EU leaders offer a possible extension until 22 May, the day before voting in the elections begins. For now, the focus is on the condition that an extension can be offered only if UK MPs vote for the Brexit deal next week. But EU leaders know the numbers don’t look good for the government. So, what does their Plan B look like? President Macron said that a “no” vote from MPs would guide us towards no deal. But would he say the same thing in a week’s time, when there may have to be another emergency EU summit just before the Brexit deadline? 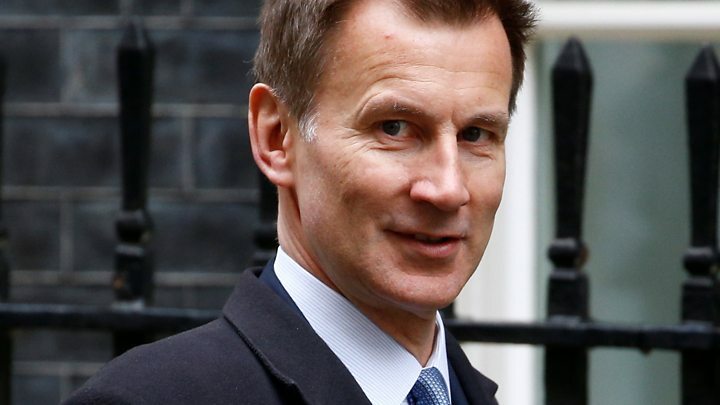 A longer extension – an idea rejected by Theresa May – remains a possibility. But the legal and political calculations that surround it are complex, and difficult to predict. On her arrival in Brussels, Mrs May said she “sincerely hopes” the UK will leave the EU with a deal and she is still “working on” ensuring Parliament’s agreement. She said that she had “personal regret” over her request to delay Brexit, but said it would allow time for MPs to make a “final choice”. Earlier, speaking in the German Parliament, Angela Merkel said the EU could meet Mrs May’s request to delay Brexit if in the next week there was a “positive vote” on the withdrawal agreement in the UK Parliament.